But of course, before the unveiling in Hong Kong, we must have a glimpse of that #PiaMadeIconic even for a day at SM Megamall's Fashion Hall which coincided with the Travel Festival last March 29, 2019. 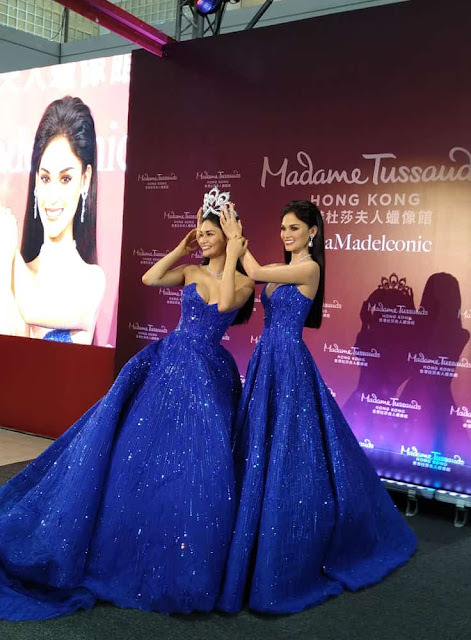 Visitors of the Travel Festival got to meet the real Pia Wurtzbach and her twin during the first day of the travel fair before they fly to Hong Kong for the official launch in Madame Tussauds where it will be included with the figures of Brad Pitt, Angelina Jolie, Michelle Yeoh, Bruce Lee, etc. 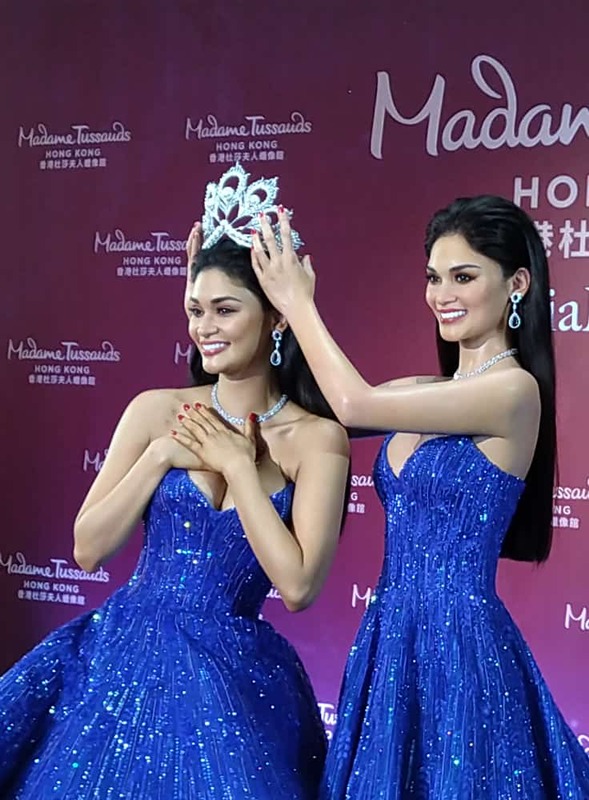 Pia said that it was quite a long discussion about her doppelganger's pose will be but it was eventually decided that it's best to capture the Miss Universe crowning moment so that fans and visitors at the wax museum can feel what it's like to be a Miss Universe. "We want all of you to experience what it's like to strike your most confidently beautiful pose and receive the crown for yourselves," said Pia. This waxified Pia Wurtzbach is a first for Miss Universe and a first for Filipinos as well. It was also revealed that the iconic Swarovski-embellished gown worn by the wax figure was also made by Michael Cinco. "Dressing up her wax figure and to represent our country are already an honor and a great experience in my career. It is an impalpable dream come true," said the designer. "When I found out, I was so excited. I couldn't believe it! In my head, this is something that only happens to big stars," said Pia. "Now, thinking that I'm going to be one of them, I'm very honored, I'm very grateful."